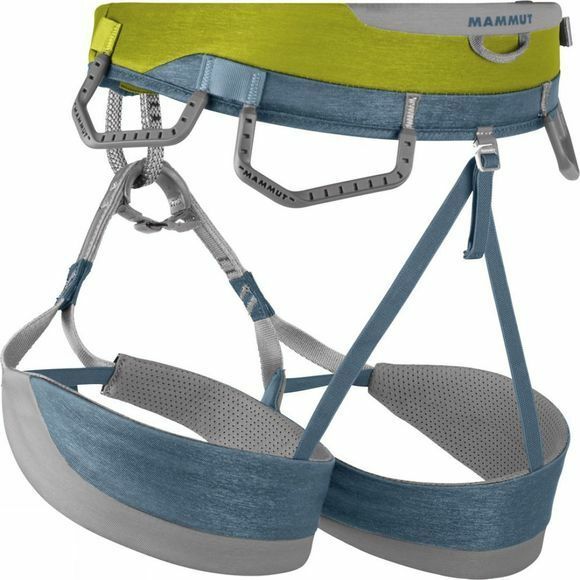 A sporty climbing harness for demanding climbs on rock and ice. 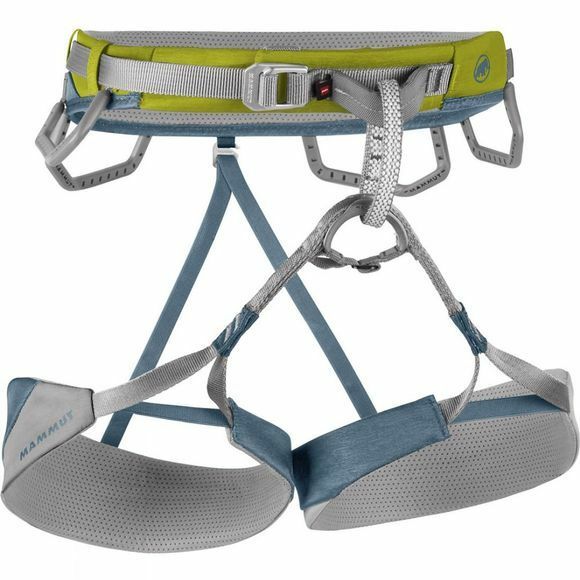 The Togir Harness ensures great comfort while in vertical terrain, thanks to the combination of innovative Split Webbing technology and a complex laminating process. The modern flat design of the Togir also enables maximum freedom of movement and a low weight. The four securely attached shaped gear loops allow sufficient space for climbing equipment. For alpine activities requiring lots of equipment, an additional four ice-screw carabiners can also be attached.